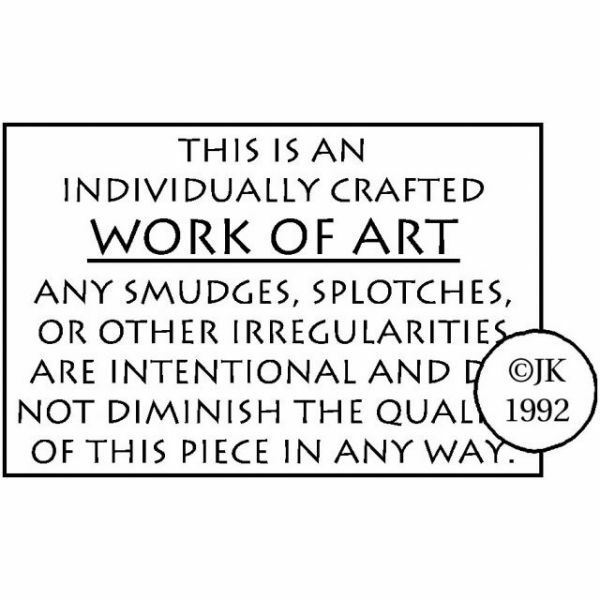 Judikins Rubber Stamp 1.25"X1.75" - JUDIKINS-Wood Mounted Rubber Stamps. Judikins stamps feature fresh rubber images that are sure to enhance your next paper craft project. Each stamp comes on a solid wood block with indexed edge for easy grip and the designs are deeply etched in red rubber for crisp and detailed images every time. 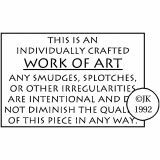 This package contains Work of Art: one stamp mounted on a 1-3/4x1-1/4 inch block. Made in USA.